Get out that David Bowie record and grab a can of Jolt Cola because it’s time to rank my Top 20 all-time favorite video games. The rankings are based on qualities like story, playability, cultural influence, immersion, creativeness, and a happiness quotient roughly calculated using memories/age * 1.023MHz * (1 KB/1980). This is for my friend Milton and anyone who knows (and those who don’t) that video games are a fount of creativity. (1) Ultima IV: Quest of the Avatar (IIe) – The game included a cloth map and ankh amulet and required adventurers to meditate at shrines, collect artifacts, and “understand and exercise the Eight Virtues” on their path to becoming an Avatar. I played most of the titles in this series, but Quest of the Avatar receives an almost perfect score against my fancy criteria for it’s groundbreaking gameplay, inventiveness, storytelling, and lasting influence. It was published by Origin and developed by Richard Garriott, an industry pioneer who’s currently working on Shroud of the Avatar. I kind of wandered around the gaming universe after Ultima IV trying to find a title so immersive. It wasn’t until The Legend of Zelda: A Link to the Past and Kingdom Hearts that I discovered something comparable. Bonus: You could import your Avatar into Ultima V. The games also included two books- The History of Britannia and The Book of Mystic Wisdom. Skara Brae is referenced on Playmobil365.com on 7.6.2014 #187. (2) 2400 A.D. (IIe) – Join the rebels and fight the Tzorg! Set on Nova Athens in 2400 A.D. this dystopia had robots, subways, slidewalk systems, hand blasters, and supercomputers! I am still mesmerized by this gem from Chuck Bueche (Chuckles to Ultima fans). I replayed it a couple of years ago and it’s still fun. It missed being #1 in my Top 20 by 1000 bytes. Bonus: It shipped with tiny metal robots. 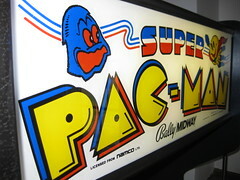 I wonder if E. Cline played this game? (3) Kingdom Hearts (PS2) – Sora, Riku, and Kairi meet Mickey, Donald, and Goofy. The pop-cultural influence of Disney and Square Enix are undeniable, and this series has inspired maquettes, gachapon, books, and user-made artwork. Every detail of this game was perfect…from the opening chords of Simple and Clean…to the selection of summoned characters and lands. I replayed the ending a half-dozen times just to watch the credits. Bonus: Flying over London to fight the Phantom. It’s like this. (4) The Legend of Zelda: A Link to the Past (SNES) – The SNES was my first console, and after watching my brother and neighbors play The Legend of Zelda on the NES, this was the ideal foray into the Zelda universe. What I love about Zelda is its reverence for storytelling, detail, continuity and tradition. (5) SimCity (Mac) – It makes the top five based on playability. I wonder how many future city planners it inspired? Bonus: A couple of years ago on a trip to Austin I found a SimCity card game at King’s Hobby Shop. (6) MicroLeague Baseball (IIe) – It’s the only sports title in the list. I used to print the lineup and box score on a dot-matrix printer with perforated paper. I was amazed the first time the game was delayed by rain. I get a little weepy whenever I hear the sound of a dot-matrix printer. Bonus: The Art of Empires adorns my bookshelf. (8) RollerCoaster Tycoon (PC) – A lifelong obsession with creating my own version of Walt Disney World finally realized! The best description of the joy I felt playing RollerCoaster Tycoon is on pages 75-76 of Realityland: True-Life Adventures at Walt Disney World. (9) Pirates (IIe) – The first of two titles from Sid Meier in my Top 20. Before the release of this classic, my pirate adventures were limited to the Audio-Animatrons in Pirates of the Caribbean at Walt Disney World, my Playmobil pirate ship, and The Goonies (1985) and Walter Matthau in Pirates (1986). (10) The Legend of Zelda: A Link Between Worlds (3DS) – Every happy memory from The Legend of Zelda: A Link to the Past was unleashed when I launched the game for the first time and heard that familiar music, but it turned into a torrent when I fought a Moldorm again in the Tower of Hera. The ability to merge, and its impact on the gameplay and storyline, is demonstrative of the subtle genius that threads this franchise. Majora’s Mask in Link’s House was a nice nod to the Zelda canon. Bonus: The mural in Hyrule Castle is conceptually similar to the one in Ultima IX. (11) Railroad Tycoon (Mac) – Capitalists of the world unite! This is the second title from Sid Meier in my Top 20. I didn’t need all those economics courses in college because everything I needed to know about interest rates, commodities, pricing strategies, bonds, back panics, and stock markets I learned in this game. (12) Futurama (PS2) – Bite my shiny metal a**. This was a clever title for one of the best science fiction cartoon series ever created. It was part Space Quest III by Sierra and part 2400 A.D. by Origin. Bonus: Futurama was an exhibit designed by Norman Bel Geddes for the 1939 New York World’s Fair. (13) Crimson Skies (PC) – Um. Dirigibles and airplanes in an alternate 1930s universe. (14) Adventure Time: Hey Ice King! Why’d you steal our garbage?!! (3DS) – Bytes of endorphins Ooo from this title. The overview and gameplay were reminiscent of Zelda, the deluxe version shipped with Ultima-like goodies, and the characters and colors scratch your brain in funny places. (15) Wings of Fury (IIe) – This is one of the few arcade style games in the list. I used to don a leather flight helmet and goggles while playing (if you were at volunteer at NYCC in 2011 you would have received proof). It was set in the Pacific during WWII and required a great deal of dexterity to land your F6F Hellcat on the deck of the USS Wasp. (16) Robotech: Battlecry (PS2) – I was introduced to Robotech in the 80s but had to wait more than 15 years to pilot a veritech fighter! It was worth the wait (even if the fate of Jack Archer, like Xion, made for a somber ending). (17) President Elect (IIe) – You could use it today to predict the winner of Kang versus Kodos in 2016. 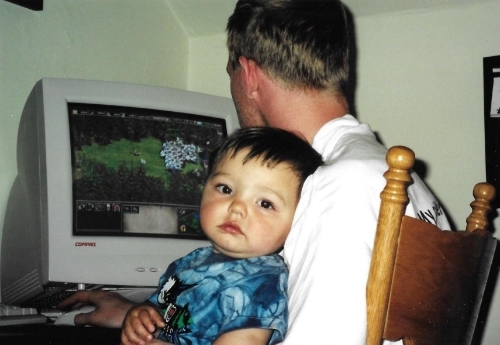 (18) Warcraft: Orcs & Humans/Warcraft II: Tides of Darkness/Warcraft III: Reign of Chaos (Mac OS & PC) – I am not a BAD Dad. ; I am not Clara from The Guild. (19) Kingdom Hearts 358/2 Days (DS) – The Dustflier was such a pesky secret boss, but so satisfying to defeat. The storyline with Roxas and Xion was a potent and emotional arc. The graphics in Birth by Sleep and Dream Drop Distance were incredible, but the story of Kingdom Hearts 358/2 Days trumps them. (20) Earth Orbit Stations (IIe) – NASA’s Space Shuttle program was the source of great national pride in the 80s and this space station management simulation allowed future engineers, project managers, astronauts, physicists, and astronomers to dream big.